The lady with a musical instrument such as the violin, is something that can seize attention of all of your guests coming home. 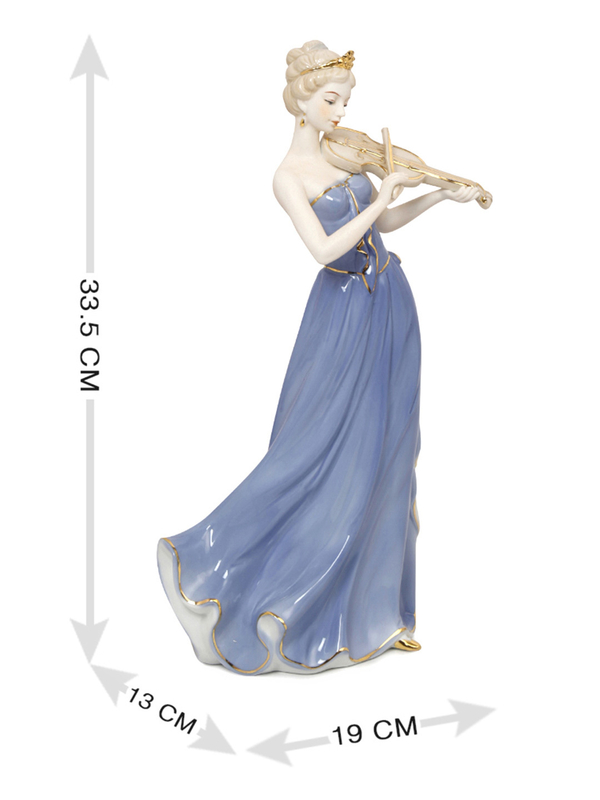 It would be an ideal and flawless home decor, which is of course, of the miniature kind. The entire showpiece is made from ceramic and so is the shine and beauty that it has achieved. Though it should be handled with great care all times, it offers you the endless appreciation from all of your visitors to your home, giving it the ultimate admiration. The showpiece has already transformed the grace and appearance of many homes, and now it is your time to adorn your abode with this captivating piece from @Home.